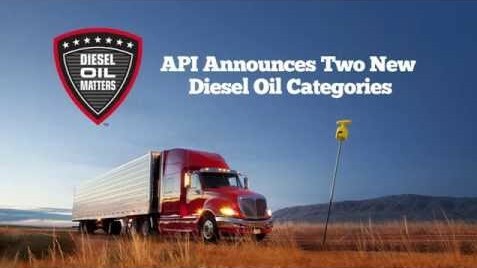 As of December 1, 2016, there have been two new diesel engine oil standards, API CK-4 and API FA-4, available to truck drivers after they were approved by the American Petroleum Institute (API) in March of the same year. Many are likely aware of the existence of the API, but some may not know that they are the only trade association within the United States which not only represents the advancement of oil standards, but also represents the entire oil and natural gas industry. While the news of two new oils is probably known by many drivers and trucking fleets, just what these new standards consist of can often become confusing due to their intensely technical nature. In simplest terms it means that a driver's engine will be better protected and will help to comply with approaching emissions requirements than either of the two existing oils. While both oils were approved to help with emissions and prolong the life of the engine, there are different requirements for which oil should be used in specific trucks. Many may be wondering why consumers had to wait the nearly nine months between the new oils being approved and them being commercially available, but the answer is simple. The wait allowed a fair market for both large and small manufacturers to test their individual products to ensure they were not only ready to sell, but also to make sure they were producing a quality product. Nine months may seem like a long time, but these “new” oil technologies have been in development with different companies for over nine years. The main differences with these two oils is that they are designed for different applications. To determine which is right for an individual engine, one must check either the owner's manual or with the manufacturer. 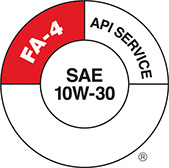 While the API FA-4 offers many of the same benefits the API CK-4 also has, the main difference is that the API FA-4 is specially developed for only newer on-highway diesel engines, which is why it is so important to make sure the driver's engine is compatible with the individual fuel. Another huge difference between the two oils is that while the API CK-4 offers a wide range of backwards compatibility for those engines that originally used CJ-4 or earlier oils such as CI-4 with CI-4 Plus, CI-4, and CH-4, the FA-4 offers little to no backwards compatibility with the on or off highway engines that recommended CJ-4 or any of the other oils listed. The easiest way to tell the difference between the two oils is by the “donut” listed on the packaging. 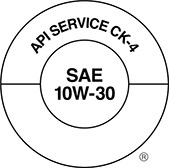 Commonly referred to as the donut, the technical term is the “API Service Symbol”. The API CK-4 will look identical to the old CJ-4 donut while the API FA-4 will have a darker portion within the donut listing it is FA-4. Within the CK-4 donut, the top portion represents the performance level of the oil, describing many of its specific properties compared to other oils. The donut hole, or middle of the symbol's circle is representative of the oil's viscosity, which differs within engines so it is very important to check this portion. The FA-4 donut looks very similar, but the left top half of the donut is shaded to ensure a visible difference between the two. It is also suggested that while speaking to the manufacturer about whether FA-4 can be used with a driver's specific engine is their recommendation to not use the oil with any fuel that has more than 15 parts per million of sulfur, or containing more than 0.0015 percent sulfur. One more difference the two oils have is the grades or designations given by the Society of Automotive Engineers, or SAE. While most are used to seeing the formula of different oils laid out, for example only, like 10W-40, aside from knowing what the truck needs, some may not know what the combination of numbers and letters means. The first part of the formula represents the viscosity of the oil when tested at a cold, or Winter temperature, while the second number represents the viscosity tested at boiling. As for CK-4, it is available in grades 15W-40, 10W-40, and 10W-30 with the future possibility of it being available in lighter viscosity grades. While the FA-4 is also be available in the 10W-30 grade, unlike CK-4, it is available in 5W-30 and 0W-30. These are major differences, but the two new oils offer similar benefits. According to the API, both API CK-4 and API FA-4 offer much better wear and oxidation protection when put up against CJ-4 oils. Increasing oxidation protection alone offers a plethora of benefits that will make sure a truck runs to full capacity. According to a leading magazine on lubrication, oxidation can lead to many problems such as sludge and sediment formation, additive depletion, filter plugging, loss in foam control, rust formation and corrosion, and acid number (AN) increase – just to name a few. Another similarity the two oils have is that both will have improved shear stability, meaning that what it takes for the oil molecules to be torn apart as the oil passes through the engine will be increased and will retain the ability to maintain a higher number for a longer time. Another close similarity between the two oils is that both offer very low high temperature/ high shear (HTHS) viscosity. In simple terms, HTHS measures what happens to the oil while in the engine. This property then translates to how an engine impacts the truck's fuel economy and durability. According to a well-known specialty chemical provider, much of this interest in lowering the HTHS viscosity is coming from the new regulations to improve fuel economy while also lowering greenhouse gasses. Though both CK-4 and FA-4 have the minimum required HTHS viscosity at 3.5, the more specialized FA-4 comes in at 2.9 to 3.4, making it better for the environment. However, the lower HTHS viscosity also poses the problem that it will lower the wear protection offered to the engine. Having a well-balanced HTHS viscosity means that engine wear is dramatically slowed down since it protects the moving components of an engine with a layer of oil film. According to the API, by implementing one of these fuels fitted to an individual or fleet's need, there are numerous fuel economy advantages to switching over. With Class 8 fleets or trucks changing to CK-4, they can save between 0.5 percent to 1.5 percent in fuel costs. If the trucks are compatible with the FA-4, that escalates to an impressive additional savings of 0.4 percent to 0.7 percent in fuel costs. These savings can be seen by the individuals with truck driver jobs and may potentially be passed down within a truck company to incentivize and reward their drivers. Now in 2017, it is more important than ever to take these great benefits from both CK-4 and FA-4 into consideration with the new regulations from the Environmental Protection Agency (EPA) and the National Highway Traffic Safety Association (NHTSA) quickly approaching. 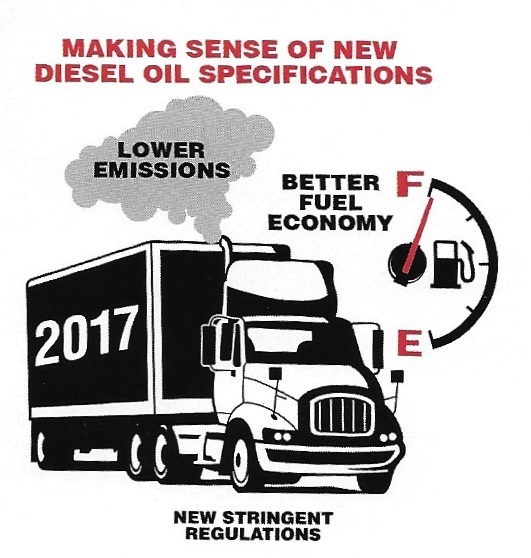 While specifics of these impending regulations and their impact on trucking jobs have been discussed previously, they will require a huge overhaul on fuel improvements to help reduce emissions released into the atmosphere. While the implementation of these two new fuel specifications have been widely accepted by trucking companies as a beneficial change, Ford and Motorcraft Parts released a statement and YouTube video stating potential dangers some CK-4 oils may have on Ford engines. Since the introduction of CJ-4, Ford has recommended that formula for all of their engines. The company decided to test CK-4 before recommending it to their customers. After completion of those tests, they saw an increase of wear in the 6.7 liter engine stating it didn't have the same level of protection as the CJ-4 held. Much of this was attributed to the lower phosphorous levels in the new formula. Upon this discovery, they decided to recommend not using CK-4 in any of the Ford engines, not just the 6.7 liter. While their considerations must be taken into account, it should also be noted that they have since developed their own formula of oil for specific use in their engines. New oil specifications occur quite often as new regulations, technologies, and engine designs are explored. However, the thought and development of these specifications go through a rigorous process in order to be implemented correctly. Much of the testing process for CK-4 and FA-4 remained the same as it had for previous specifications, but this time with more strict limits. The API also introduced two tests in order to further ensure that the oils are capable of oxidation stability and aeration control. The combination of the old and new tests guaranteed that not only would the new oils be safe for new engines, but also, especially in the case of CK-4, would still perform in older engines. Now, as CK-4 and FA-4 are phased into regulation and CJ-4 is phased out completely, it is important to see how this can be more beneficial to large fleets as well as individuals such as owner-operators with trucking jobs. Not only will this help the environment, but will also help prolong the life of an engine.